Recently, a large tanning insurance provider Thomco (Thompson Insurance Enterprises) chose to exit the tanning salon insurance marketplace. This leaves hundreds of tanning salon owners without insurance coverage for their tanning salon when their policy expires. R&R Insurance Services, operator of www.InsuranceForTanningSalons.com is accepting applications for tanning salon insurance from any tanning salon in the Midwest: Illinois, Indiana, Iowa, Kentucky, Michigan, Minnesota, Missouri, Ohio, and Wisconsin. A simple form gets the quote process started with a Tanning Insurance Specialist. www.InsuranceForTanningSalons.com offers a quick, easy application process, payment options and additional optional coverages. 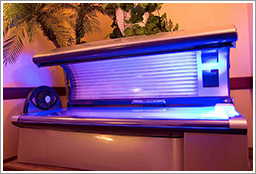 Call any of our knowledgeable Tanning Salon Insurance Representatives for a no-obligation quote or consultation. 262-953-7200. Important Note For Tanning Salon Owners: No new business quotes will be accepted by Thomco, and all active policies will remain in effect until the expiration date. At expiration, tanning salon owners will receive a non-renewal notice in the mail. When you receive this notice - please contact R&R Insurance: www.insurancefortanningsalons.com or 262-953-7200.